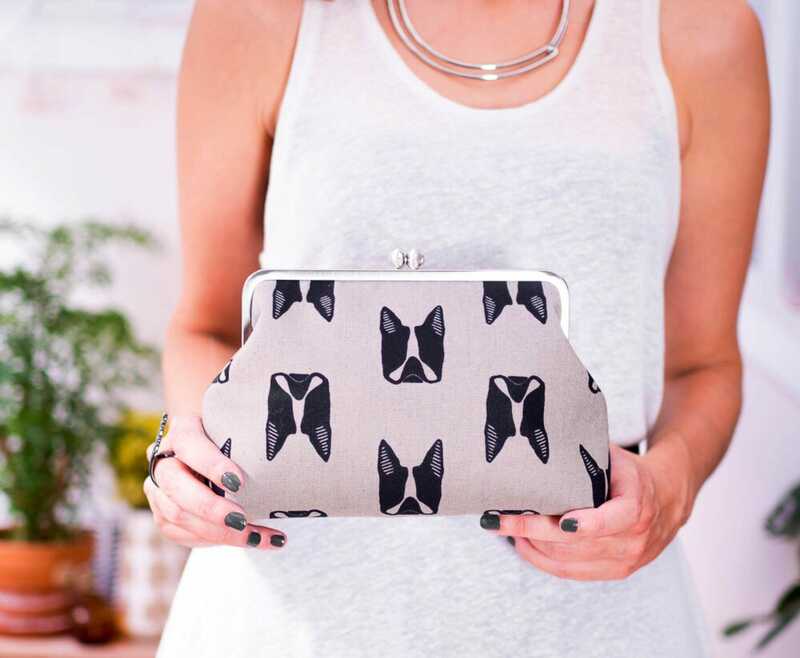 This gorgeous fun clutch with Boston Terrier printis ideal for a night/day out on the town. 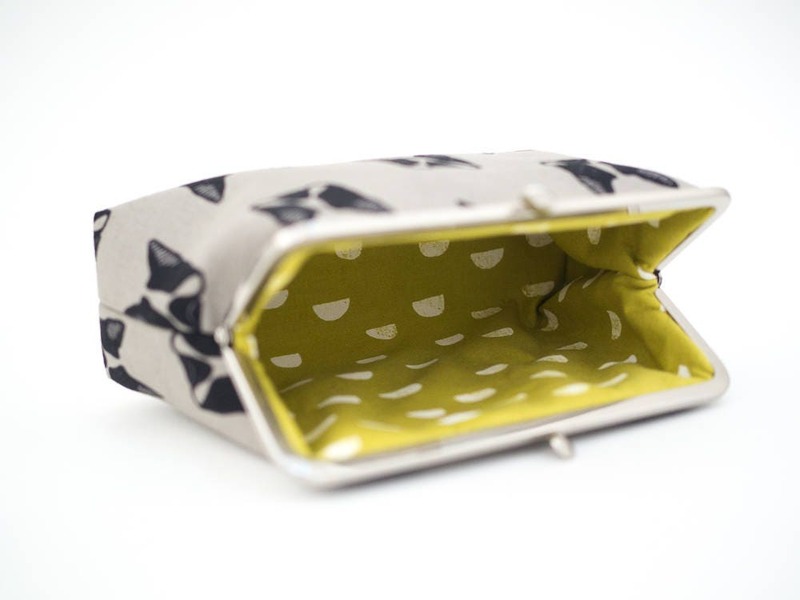 The sizing provides lots of room to store things like keys, phone, cosmetics and wallet. 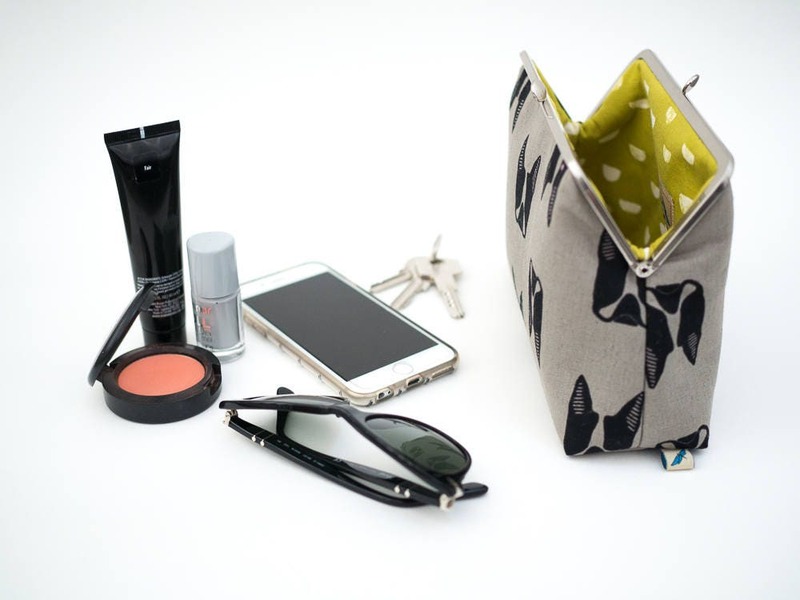 No need to leave any essentials behind! 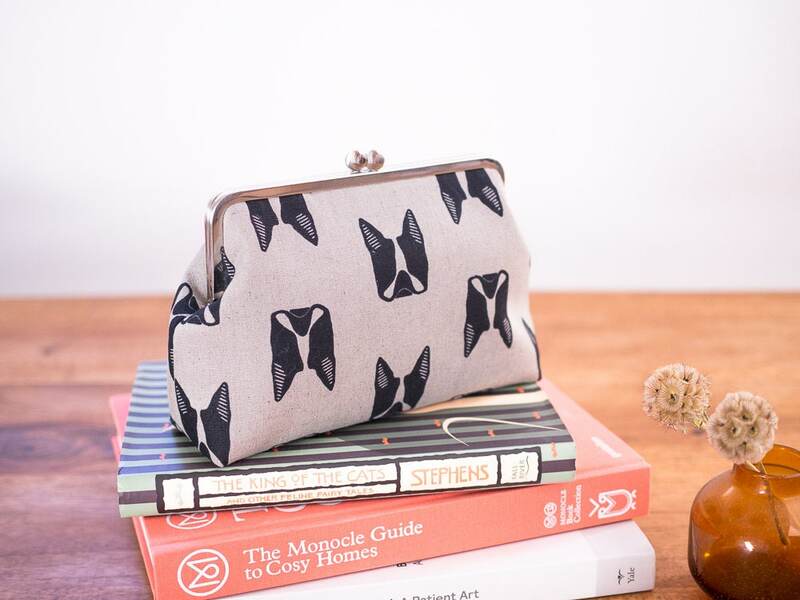 Handcrafted out of the finest fabric designed by Sarah Golden, this clutch will easily become a go-to item you’ll enjoy using time and time again. 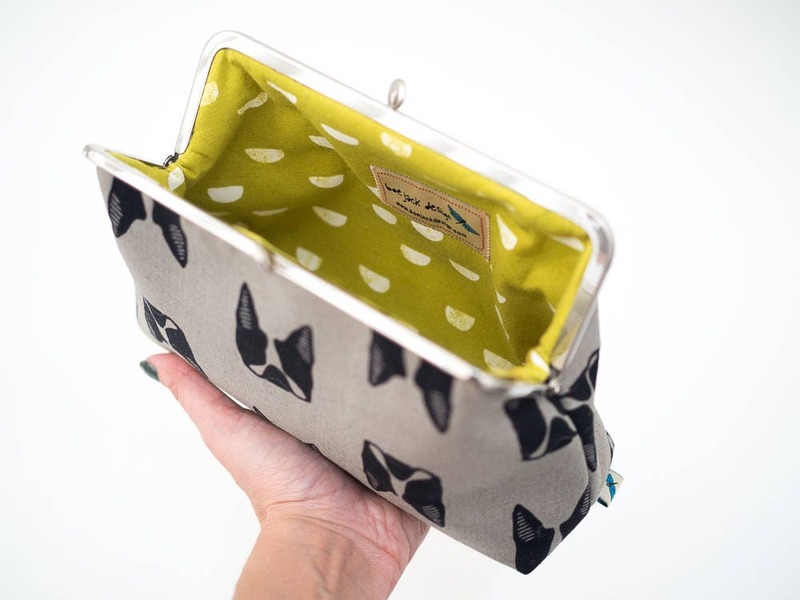 + Boston Terrier print 55% linen and 45% cotton blend fabric by Sarah Golden's Maker Maker collection for Andover Fabrics. Beautifully made. Gave it as a gift - a huge hit. Thank you! 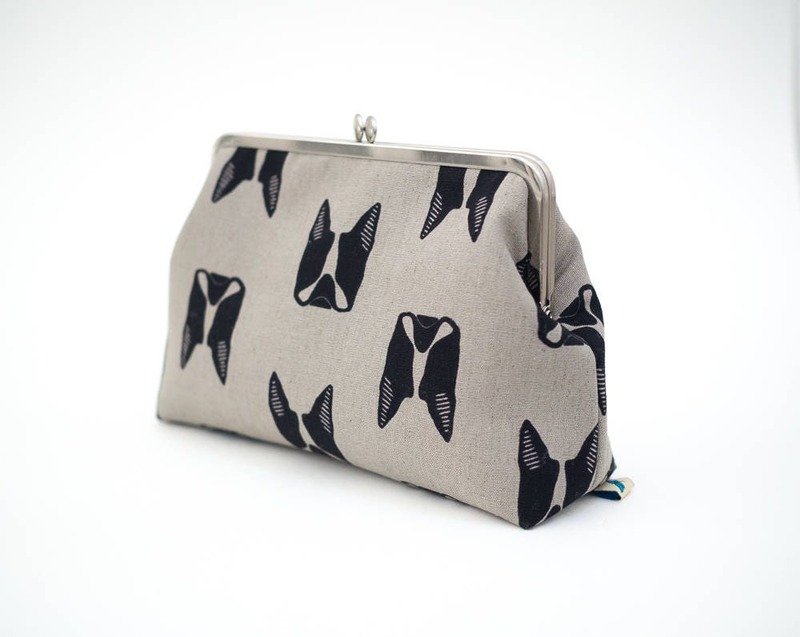 OBSESSED with this clutch!! The quality is amazing!! I’ve gotten a lot of compliments on it too! I love it! High quality material visually and to the touch, regarding the fabric and the metal. And the decoration of the canvas is very original!